Market Outlook for 2012 is looking good! I just finished up at a 2012 Mortgage Outlook with CMHC today. There were a lot of great things said. Mainly that Ottawa’s housing market is in great shape to be living right now and for the future! I know there was recent press about that and may have you believing otherwise, but here are a few notes that I took in from todays meeting that could change your mind. Ottawa is currently in a strong balanced market, and prices expected to RISE with rate of inflation. A 2.7% increase in home prices over the year is projected. Average employment by the government in 2002-08 was approx 95k, while average in 2008-12 was just shy of 120k. impact as most are thinking or hearing about. Other job sectors are still growing. Ottawa is at the top of the employment rate at 84.9%(ages 25-45) second only to Kitchener. Ottawa has grown approx. 47% in terms of income over the last 11 years and Ottawa has the highest weekly salaries anywhere in canada at just over $1000. Mortgage rates are still historically low, there is no better time to be buying! I’ve heard a recent deal was 3.89% for 10 year fixed!!! That’s insane. Average of approx. 6000 immigrants per year are coming to Ottawa. 50% are economic immigrants meaning that they have degrees and support job growth. This combined with other factors translate to approx 5800 new houses a year required here in Ottawa. 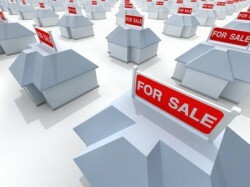 New homes are sitting at about 24% higher pricing then resale homes. I think all this information I gathered says it all. The Ottawa housing market is fantastic. Rates are lower than most of us will see in our lifetimes. Prices aren’t going down like some people may be telling you. There’s not many times like this to be buying and selling homes. I really enjoyed working with Andrew Miller when purchasing my first home this past year. I am 27 years old, a recent graduate of Ottawa University but new to the real estate/mortgage world and relatively new to the Ottawa region. Andrew was well informed, both about real estate and Ottawa's different regions, as well as honest, easy going and not aggressive! He patiently showed me numerous Condos all the while pointing out their good and bad features. When it came time to make a purchase he campaigned on my behalf and helped me find the financing and the legal help I needed. I am very happy with my purchase and hope to work with Andrew again in the future when I upgrade or seek a bigger place!